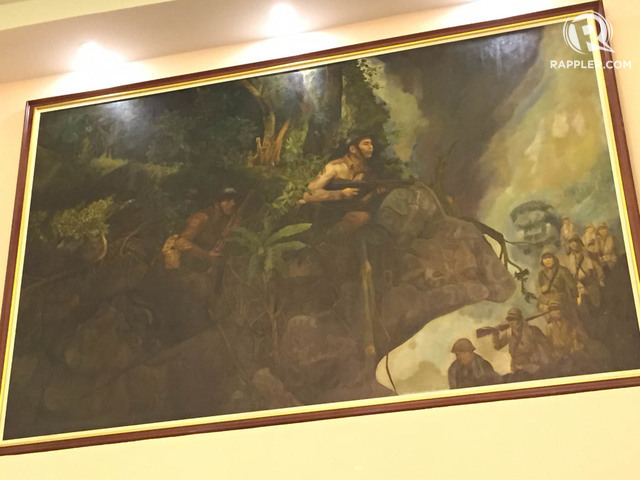 →What’s a Marcos painting doing in Robredo’s future office? It’s a painting that doesn’t immediately grab your attention despite its size, but once you take a closer look, the man right smack in the middle is sure to catch your eye. 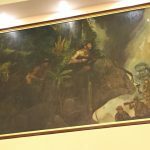 One of the bigger paintings that decorate the Quezon City local government’s “Executive House” – the future home of the Office of the Vice President – is one made by Jose Blanco, commissioned by the late dictator Ferdinand Marcos. The piece depicts…who else, but Marcos as a hero. It’s ironic considering who the next occupant of the sprawling home will be: Vice President-elect Leni Robredo, who recently beat Senator Ferdinand Marcos Jr, namesake and only son of the late dictator. “That is a painting by Jose Blanco, commissioned by former President Marcos… kaya mukha niya ‘yung ando’n eh (That’s why he’s depicted there). We got that not for any political reasons,” explained Quezon City Mayor Herbert Bautista. Bautista, by the way, happens to have been an official of the now-defunct Kabataang Barangay, which was headed by Marcos’ oldest daughter Imee. KB is the precursor of the Sangguniang Kabataan. 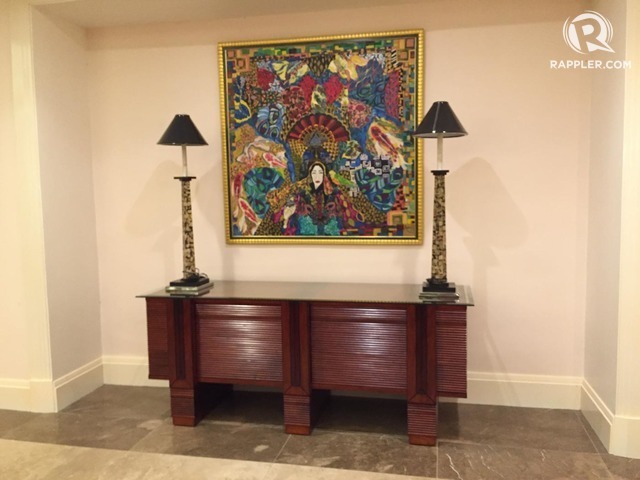 The Blanco piece is only one of the many paintings that adorn the “Executive House.” At the main sitting area is a newer art piece by local celebrity Heart Evangelista, wife of defeated vice presidential candidate Francis Escudero. Bautista joked that they should also buy a piece depicting the “Magdalo” flag, a reference to a defeated vice presidential candidate whose political party carries the same name. But the Blanco piece – and even the Evangelista piece – won’t be inside the Executive House for long. All the art pieces belong to the Quezon City government and will likely be removed in time for Robredo’s stay in the New Manila house.